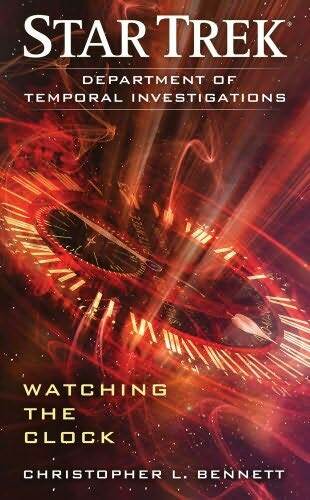 I didn't fall in love with this, the third of Christopher L Bennett's 'Rise of the Federation' novels - a series of sequels to the TV series 'Star Trek: Enterprise'. There are several plot threads running through that don't really seem to tie together - leaving it feeling like a middle part in a longer story. Archer and T'Pol are drawn into the mystery of a missing Vulcan artefact, Reed, Tucker and Mayweather chase some aliens who like abducting people, and some other character lose me in the intricacies of their plotting. 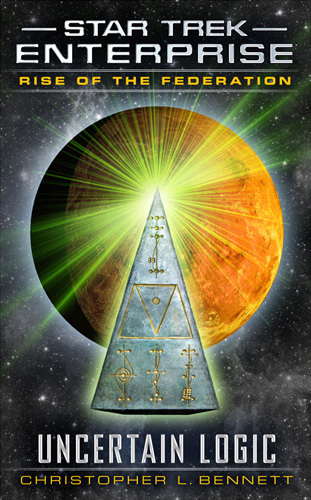 The mystery at the heart of one of the plot lines didn't really feel like it was being investigated properly, more that random events and accidents led to a conclusion, all the plots suffered (for me) by being too reliant on things that occurred in previous novels or episodes. Usually in Bennett's books the references back are bonuses which reward the loyal reader/viewer, but in this instance it felt like I was missing out by not remembering all the detail. The best bits of the book are the character moments, particularly around Hoshi Sato's character, which is really being developed well in the novel series. I also enjoyed the experiences of Archer, whose ultimate destination I do already remember from previous 'episodes', but is fun (though sometimes slightly awkward) to watch him moving toward. 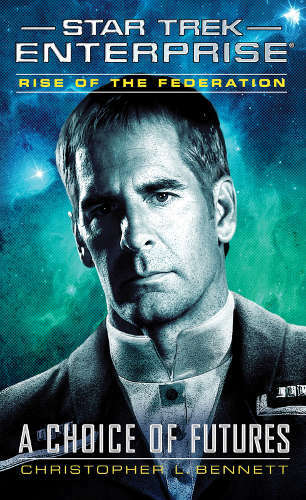 Ultimately though this feels like a fairly run-of-the-mill episode for Enterprise, and I didn't find it as enjoyable as the previous two books in the series. 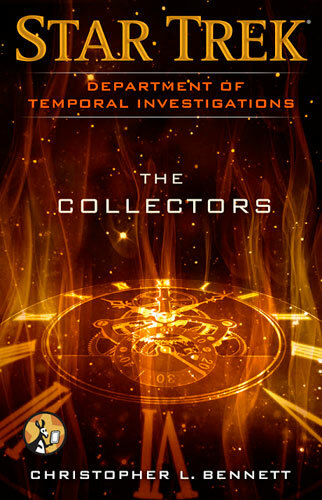 Christopher L Bennett's third story about the Department of Temporal Investigations sees investigators Dulmer and Lucsley returning with an anachronistic artefact to the DTI's base on Eris, followed by a slight accident that reunites them with an old friend. 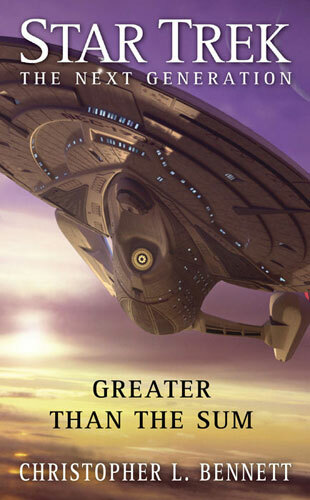 The novella format seems to have freed the author from some of the gravity of a traditional Trek novel and he takes the opportunity to add a very welcome pile of humour that makes the whole reading experience greatly entertaining. While I often don't get on well with the Star Trek stories that focus on non-TV character, this one was a delight to read. Bennett's vision of the future is one of fantastic detail, and his writing style allows the reader to pick up on things slightly ahead of the characters, one of my favourite traits in fiction. Overall a really good quick (but actually I didn't think too quick) read that adds to the DTI's story and makes me hope that he's able to return to this series again in the future. 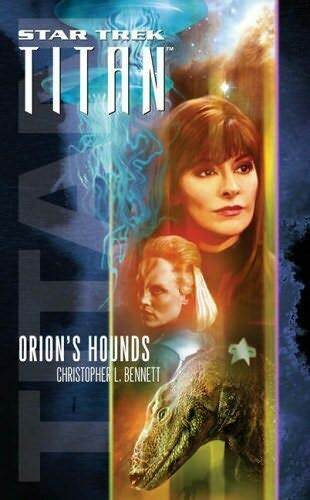 The second book in Christopher L Bennett's ongoing Star Trek Enterprise follow-up series is much more of a standalone than the first, which contained a lot of setup of where the characters had got to following the previous novels in the series. Having said that, there's a lot in this book that recurs from the previous and I felt it would probably have been useful had I re-read A Choice of Futures before reading Towel of Babel. 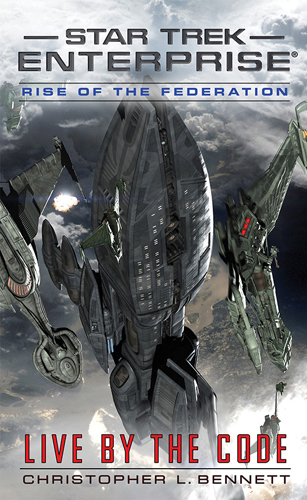 The focus of the story is the potential for Rigel to join the 'fledgling' Federation, and Bennett has built his plot around pulling together the slightly absurdly varied and potentially contradictory facts we've learnt about Rigellians through the Star Trek tv series, movies, novels and comics to date - which as always he does very well, clearly demonstrating that a lot of effort goes into his research process. I found the plot slightly complex to follow though - there were almost too many things going on, with Bennett trying to give page time to all the main characters. This also had the effect of giving each character only time to show one aspect of their person and some of them felt like they were there just as a nod of the head. 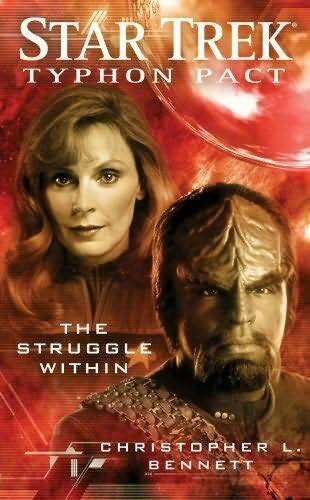 A lot of the characters do grow, but I'd have liked a novel which picked one out for a bit of a meatier storyline. I felt Archer's story could in particular have done with a bit more exploration at one point, where he could have gone through a lot more turmoil than he got away with. 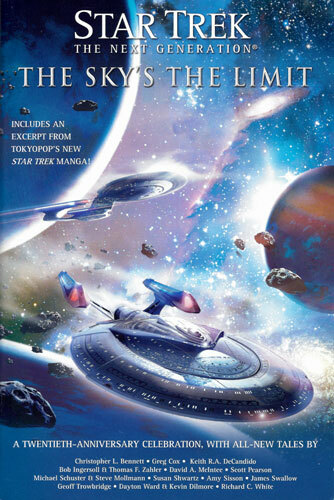 Overall I enjoyed this return to the Enterprise universe, but didn't think it was as strong as the first novel in the series, which I absolutely loved. 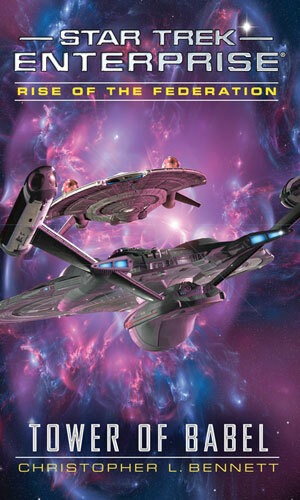 That's not in any way going to stop me from reading the next two that Bennett and the publisher have already announced - these Enterprise novels really do well to put the series on a strong footing. 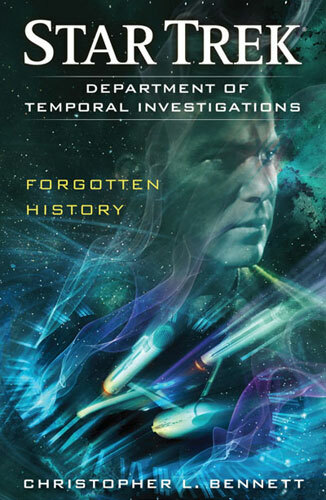 I've read a number of Christopher L Bennett's Star Trek tie-in novels, and have been reading online for a long time about this book, an original work looking at the 22nd Century life of a group of genetically-engineered superheroes. I found the book really interesting, although in places hard going. The narrative gets a bit bogged down with technical details, then flips into fast-paced action scenes. These were actually what interested me least, and several times I found my attention drifting and had to turn back a page or two to work out what was going on. 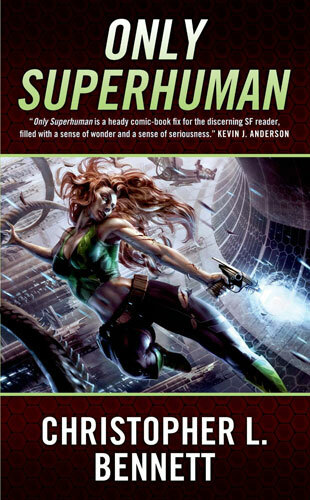 The plot gets quite complex, and does well to keep the reader guessing all the way to the end, although it gets to the point of ridiculousness in trying to tie your thinking up in knots. The main character is strong, and I really liked the way that the backstory was given interspersed throughout the narrative in 'origin story' chapters. In fact, I found these sequences the best in the novel. 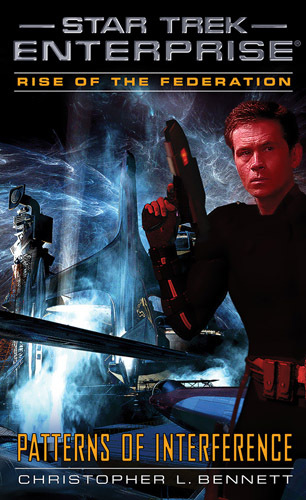 The book does have a similar overall feel to it as Bennett's Trek novels, though I didn't find it had quite the power to grip me. 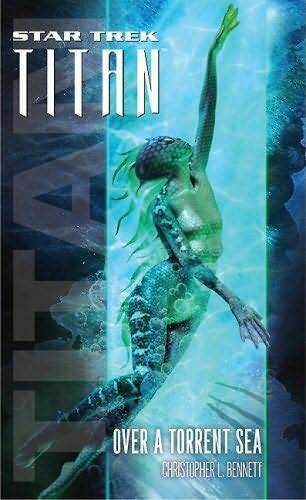 Certainly an interesting novel, but a little too much toward hard science fiction for my tastes.